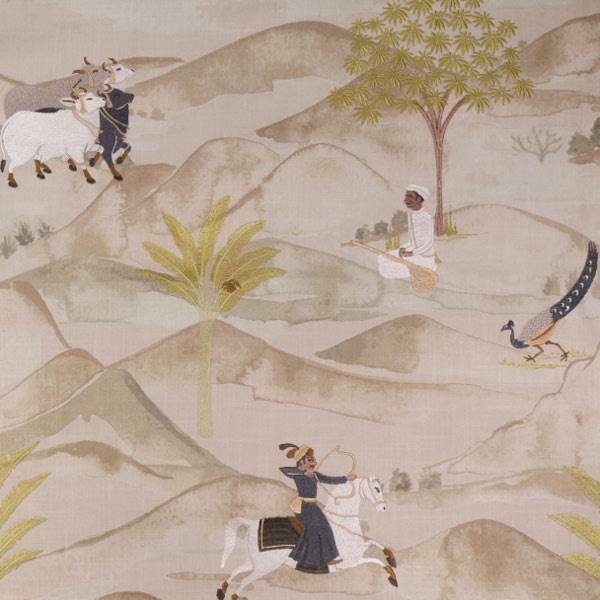 This fabric features a large-scale scenic design with a Persian art look. This exotic-looking fabric is in shades of natural, green and gray. This fabric would look great as drapery fabric or pillow fabric. The design is printed on a 100% cotton base cloth.